One hundred and sixty years ago the RICCI family artisans established their Guild House, Ricci Argentieri, in Alessandria, a small northern town near Milan. Since 1840, Ricci Argentieri (also known as Ricci Silversmiths) has been one of the most respected and renowned silversmiths in all of Europe. Ricci’s rich tradition of quality craftsmanship ...... Read More One hundred and sixty years ago the RICCI family artisans established their Guild House, Ricci Argentieri, in Alessandria, a small northern town near Milan. Since 1840, Ricci Argentieri (also known as Ricci Silversmiths) has been one of the most respected and renowned silversmiths in all of Europe. Ricci’s rich tradition of quality craftsmanship continues today in the USA. 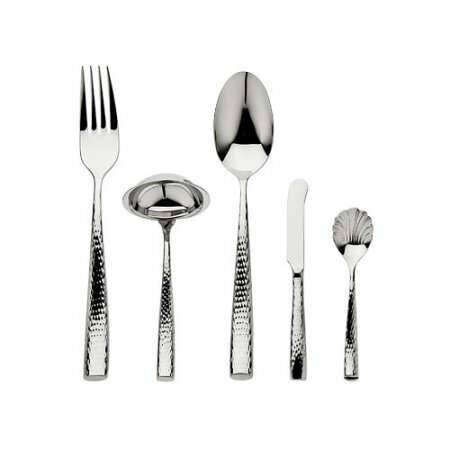 Distributed by Godinger International, Ricci is still one of the most highly-acclaimed silversmiths in the world. Today, Ricci’s sterling factory is still located in Padova, Italy, while our plate and stainless factories are located throughout the Far East. 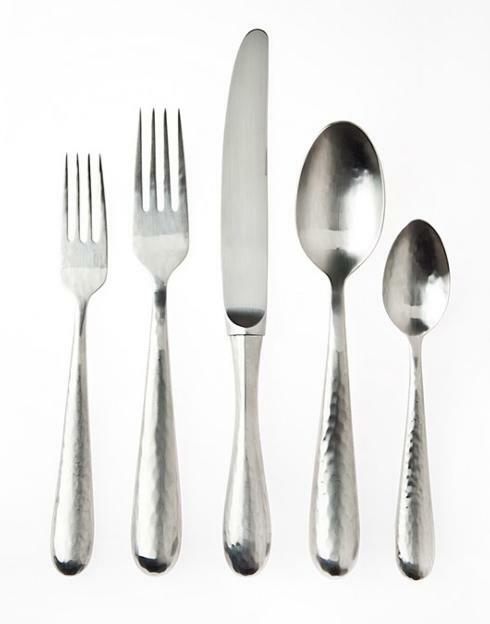 Each of our factories is state of the art, with our flatware and hollowware being produced to the most exacting standards. 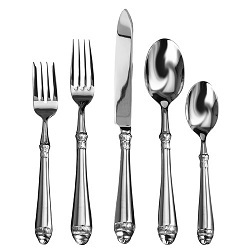 The highest quality, weight, balance and detail are apparent in every flatware piece. Ricci is dedicated to producing is sterling silver, silverplate, goldplate and stainless collections with exceptional quality and beauty. For the past five generations, Ricci has been in the vanguard in the research and development of new designs. 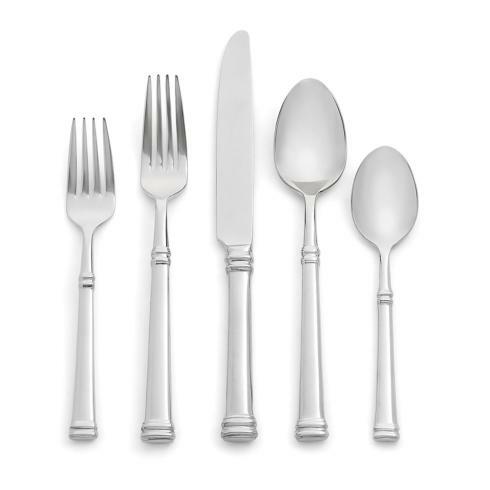 Ricci combines classic tradition and flawless contemporary styling to produce the most exquisitely designed flatware available. Design engineers carefully analyze the movement of the lines and proportion of the pieces. 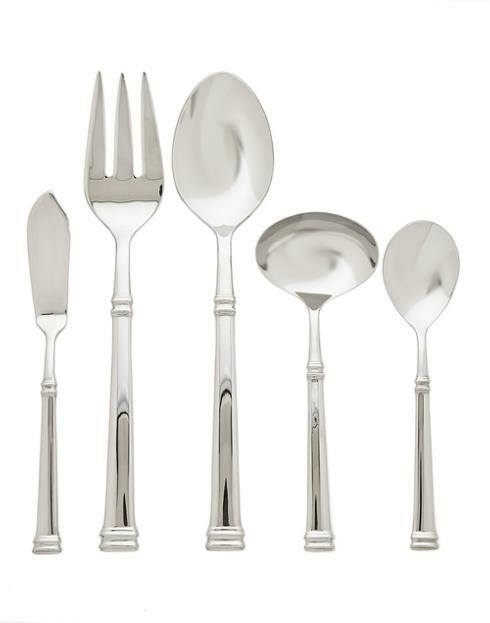 The thickness of the metal on a single spoon varies to best carry out the pattern. Each Ricci pattern extends to the end of the piece and on both sides front and back. 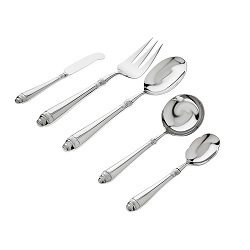 This detailing is only found on the best European flatware. 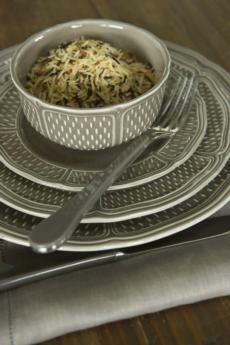 True masters of their art, Ricci silversmiths pursue detail and design until a perfect product is produced. Each piece of sterling silver is handcrafted - filed, polished and buffed by hand- in Italy, just as the original Ricci artisans did it in 1840. Our elegant silver and goldplate patterns, as well as our sophisticated and fine 18/10 stainless steel collections are also carefully handcrafted in multiple specialty factories located throughout the Far East. All of our highly trained and expert masters of metal, practice their art in the only way they know; with devotion to quality and detail. 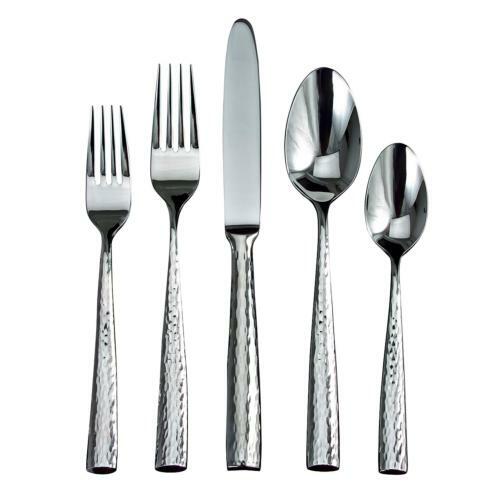 At our state of the art facilities, Ricci flatware is produced to the most exacting standards using ultra-modern machinery that specializes in intricate designs.